How we adore the whistleblowers of the past! Daniel Ellsberg is now a national treasure and walking civics lesson for leaking the Pentagon Papers—the State Department even screens a documentary about him abroad as an advertisement for the American way. And behold the glowing coverage The New York Times has given the antiwar activists who in 1971 broke into an FBI office in Media, Pennsylvania, stole nearly 1,000 documents, and exposed the bureau’s illegal and rampant political spying. The Times portrayed the FBI burglars as exemplary citizens. But the whistleblowers of the present are another matter—and always have been. At the height of the Pentagon Papers uproar, Ellsberg never enjoyed as much popular support as Lt. William Calley, a Vietnam war criminal later pardoned by President Nixon. White House aide John Ehrlichman suggested that Ellsberg was a Soviet spy—sound familiar? (In the end, Ellsberg beat the criminal charges against him only because the sloppy thugs of Team Nixon broke the law so wantonly in pursuit of him.) And when the Media burglars sent copies of the FBI’s political files to the Times, the journal of record immediately handed the documents over to the FBI. So did the Senate office of George McGovern. It can take decades for whistleblowers to be canonized. All of which makes the surging support for Edward Snowden remarkable. Despite official scaremongering, Americans are alarmed by intrusive state surveillance. And despite news coverage that has not always been distinguishable from an NSA press release—for instance, December’s cringeworthy 60 Minutes segment anchored by a career PR flack for various police and security bureaucracies—a huge majority of Americans, according to a recent USA Today/Pew Research poll, oppose the NSA’s phone metadata collection. What’s more, a plurality think Snowden’s leaks were good for the country, even if he did break the law. But the law is the law, as countless commentators displeased with Snowden have reminded us. Funny, those talking sternly of the law’s impartial majesty tend not to call for the indictment of intelligence czar James Clapper, despite his false-on-their-face statements to Congress—a federal felony. Instead, we are treated to jesuitical distinctions between Snowden and Ellsberg and the Media burglars, who were in their time accused of jeopardizing national security. Meanwhile (if anyone cares to listen), Ellsberg and the Media burglars have voiced their unqualified support for Snowden and his profoundly moral disclosures. 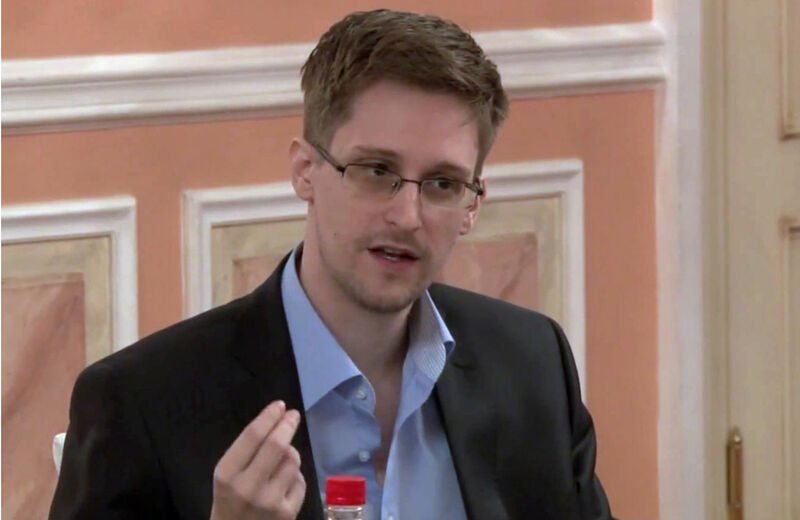 Snowden’s leaks are not just about moral principle, however. They will likely alter how we are governed. The impact is not instantaneous—after all, the revelations about J. Edgar Hoover’s COINTELPRO octopus took years to result in legislation that leashed the FBI and CIA to the Constitution. Already, Snowden’s leaks are propelling good legislative action. Last July, a House vote to eliminate funding for the NSA’s phone surveillance programs lost by only twelve votes, with a majority of Democrats opposing the president. There will be more such battles, and they will fracture both parties into civil libertarian and authoritarian wings, scrambling the conventional political spectrum in a most clarifying way. Some Democrats are uncomfortable criticizing their president, while others seem alarmingly comfortable defending him. Civil libertarians of both parties need to work together—and not just on the matter of Snowden—since a strong interparty alliance is the only thing that can protect our freedoms from the increasingly predatory behavior of American law enforcement. Justice demands full amnesty for Edward Snowden, whose lawbreaking—like that of Ellsberg and the Media burglars before him—has done an enormous service to our republic.